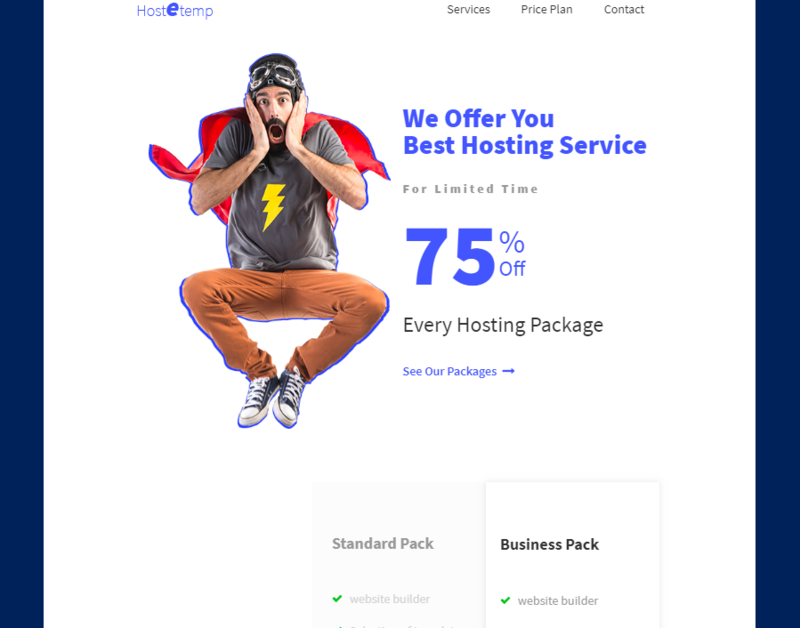 Hostetemp is a modern, elegantly designed and fully responsive Email Template which can be used for any types of multipurpose reasons like Cryptocurrency, Hosting, Domain, VPN, Cloud Service, VOIP, and any Technology Business. Email templates are prebuilt email formats which you can use and replace it with your own email content. It will allow you to write emails quickly and easily without any extra efforts. So it can be very necessary for any corporate company or business. The benefit of using an email template if you don’t need to write the same email from scratch every time. You can just use an email template to make your email ready very swiftly. So email templates can help you to save a lot of time of yours when creating and writing emails. But it can be really very necessary when creating emails with a lot of graphical contents. You don’t have to rely on complex HTML codes to create that type of emails anymore. Every time, rather than creating an email from scratch, you can simply use your email template to replace the content of your email. Another benefit of using email templates is that it can ensure the standard of your email. By using an email template you can be confident that your email keeps the standard every time. Hostetemp can be very useful when sending your messages to your clients on a daily basis. It’s most common application is that you can use it to send different email newsletter for the purpose of email marketing. The template can send emails on a weekly or monthly basis to reach your goal in email marketing. And to do so, you can create your mailing list with the help of this template and your marketing emails will be sent to your mailing list on a weekly or monthly basis. So Hostetemp will help you represent your email marketing business in great style. The uncountable features of Hostetemp will force you to love this sensational email template. Its user-friendly interface will attract its users. 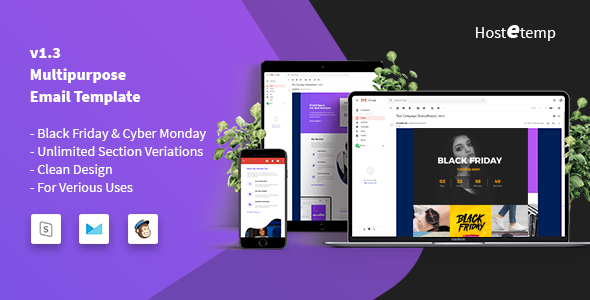 Its fully responsive feature will help them to use it from any devices they want to like smartphone, laptop, mac, tablet etc. So it is perfect for all kinds of email marketing businesses. It is compatible with both the MailChimp and StampReady which will make your email template automated and editable. Also, the Drag & Drop feature is the special feature you can use to create your site with just dragging and dropping the element of your choice. That will help you to create your own page just like you are dreaming of. It is really a time saver and will help you to save a huge amount of your time which you can contribute on developing the rest. So is an extremely professional email template for any kind of email marketing business that you are planning to start. Hostetemp has more than four enormous demo versions which are unique and very attractive. 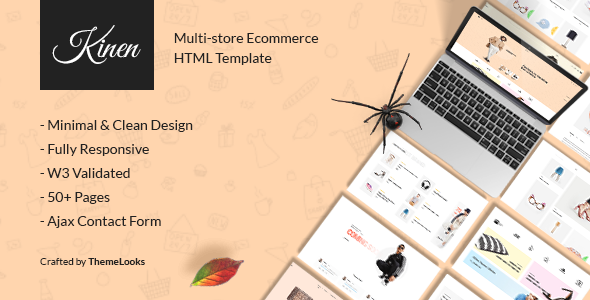 Hostetemp comes with more than 40 attractive modules which will be very necessary for you to build your own unique email template. With Hostetemp, you can create your email service plan for any types of purposes you can think of. It is compatible with the StampReady builder which is one of the popular editors o give you a premium editing experience. With the integration of MailChimp, you can make your marketing in an automated way. It is a great email marketing service. You are just one click away to import your demo from the several pre-made websites and start using right away. Hostetemp comes with the Drag & Drop customization facilities which will allow you to build very easily by just dragging & dropping. The raw HTML file is available for you if you want to customize the raw HTML or reuse it. It is compatible with all the modern cross-browsers including Microsoft Edge, Chrome, Firefox, Safari etc. The templates are totally responsive and can be used from any devices having any types of resolutions. Different backgrounds can be uploaded into different sections of the theme with ease and it will represent attractiveness to the customers. Hostetemp comes with an in-depth documentation in details for your better understanding of this product. 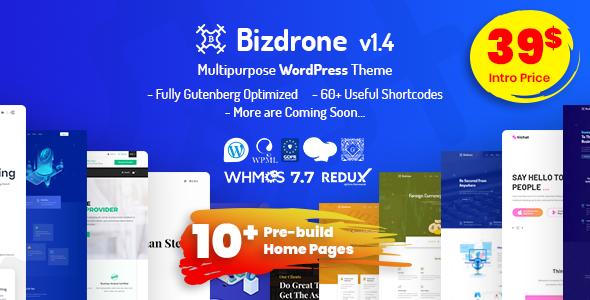 Moreover, it is compatible with uncountable Google fonts and custom widgets. Hostetemp has a base of strongly written code in HTML5 and CSS3 which is impressive. Also, it includes the .pot files which have made it a ready translator which can translate any language. The Redux Framework is the key behind its Advanced Theme Options Panel. It has a very quality, clean and unique design and it is available for different categories. With the unlimited section variations, you can create any types of sections that you need. The Unlimited color variation will offer you to choose from a great collection of colors which you can use to build the template your own way. Also, the flexible content editor will give you the opportunity to edit your content very easily which will save a lot of time of yours. There are also a ton of new features with Hostetemp which makes this email template very professional. Hostetemp comes with great support facilities for its users. For any kind of software related issue, you will get the response directly from the author within 2 business days. Moreover, you will be assisted with 3rd party assets, reported bugs and issues, technical questions about item’s features and more. You will also get 6 months of support from ThemeLooks and you can extend that to 12 months if you want by taking the premium offer. However, item support does not include installation services or customization services.